No stay in London is complete without one or two daytrips away from the teaming, bustling capital. Our favorite places include some the United Kingdom’s most celebrated castles and gardens, as well as its prehistoric treasures. Here is small sample of our best-loved days out, but do keep in mind you don’t have to limit yourself to these. Prehistoric Wonders: Our driver-guide starts his tour at Avesbury’s stone circle from the third millenium BC and covering 14 times the area of Stonehenge; then it’s off to Stonehenge, the world-famous site whose mysteries are still be explored to this day. End the day with a stop at Salisbury Cathedral which boasts the tallest spire in England. If you book far enough in advance we can arrange a VIP sunset or sunrise tour at Stonehenge for no more than 30 guests. Royal Windsor: Our driver-guide will show you Windsor Castle, the official residence of Queen Elizabeth II, the largest and oldest occupied castle in the world. Your tour includes St. George’s Chapel, Queen Mary’s Dollhouse, and the lavishly decorated State Apartments. This is the year to visit Windsor Castle where Prince Harry will be marrying Meghan Markle on May 19th, 2018. BLT guides will give you the scoop. 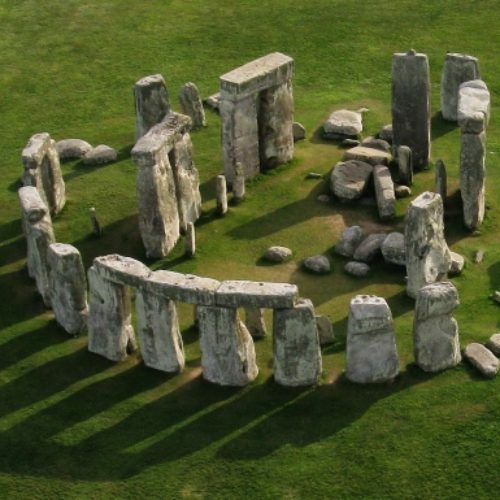 Prehistoric Wonders: Our driver-guide starts his tour at Avesbury’s stone circle from the third millenium BC and covering 14 times the area of Stonehenge; then it’s off to Stonehenge, the world-famous site whose mysteries are still be explored to this day. End the day with a stop at Salisbury Cathedral which boasts the tallest spire in England. Royal Windsor: Our driver-guide will show you Windsor Castle, the official residence of Queen Elizabeth II, the largest and oldest occupied castle in the world. Your tour includes St. George’s Chapel, Queen Mary’s Dollhouse, and the lavishly decorated State Apartments. A Day at Downton Abbey: A few hours outside London, lies Highclere Castle, owned by the Carnavon family since 1679 and the celebrated locale for the TV show Downton Abbey. With enough advance notice, British Links Tours can arrange private day trips to see where the Downtown Abbey series was filmed, as well as visit the sumptuous estate including the Castle, the Egyptian Exposition, and the Gardens. In Churchill’s Footsteps: Admirers of the British author and statesman will love our daytrip to Blenheim Palace, home to the 11th Duke of Marlborough and the birthplace of Sir Winston Churchill. Boasting one of the finest libraries in Great Britain, it is a must-see and can be combined with a day out to Oxford. 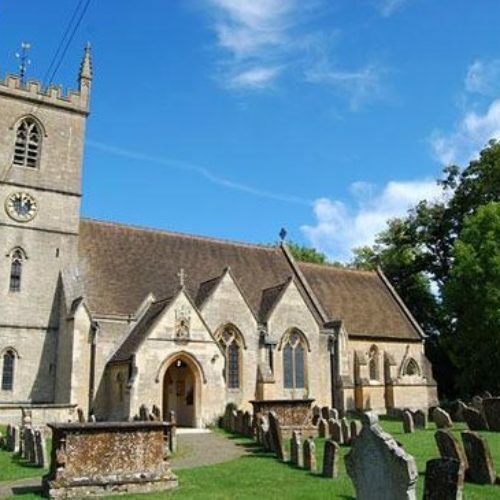 This program can also include a visit to Churchill’s graveside at Saint Martin’s Church in Bladon, near Woodstock, Oxfordshire. You may enjoy combining this visit with a tour of Churchill’s War Rooms. A Day at Downton Abbey: An hour outside London, lies Highclere Castle, owned by the Carnavon family since 1679 and the celebrated locale for the TV show Downton Abbey. 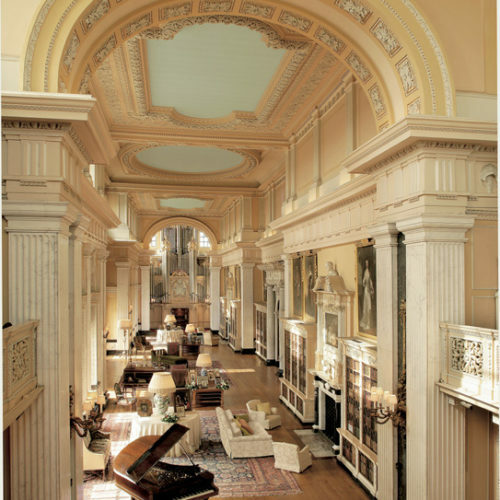 With enough advance notice, British Links Tours can arrange tours a private visit to this sumptuous estate, open to the public from March until June. 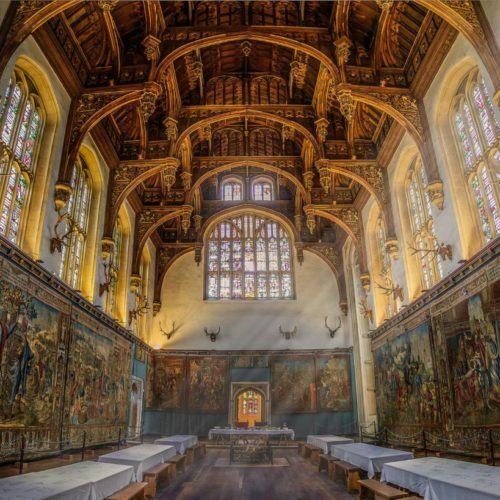 A Day at Hampton Court: You won’t want to pass up a visit to Hampton Court with its costumed hosts, its furnished Tudor kitchen, its great Medieval Hall where Shakespeare’s Kings Players once performed, as well as the new Cumberland art gallery with part of the Queen’s celebrated art collection. A Day in Greenwich: What could be more fun than boarding a clipper boat with one of our Blue Badge guides from London to Greenwich for a day filled with adventures in history. You’ll start at the Royal Observatory where you will stand on the world’s prime meridian and learn about Greenwich mean-time; then you’ll visit the real Cutty Sark, the fastest sailing ship of her time; and the National Maritime Museum, the world’s largest museum of its kind, with models, maps and memorabilia (a must for sailors of all ages). 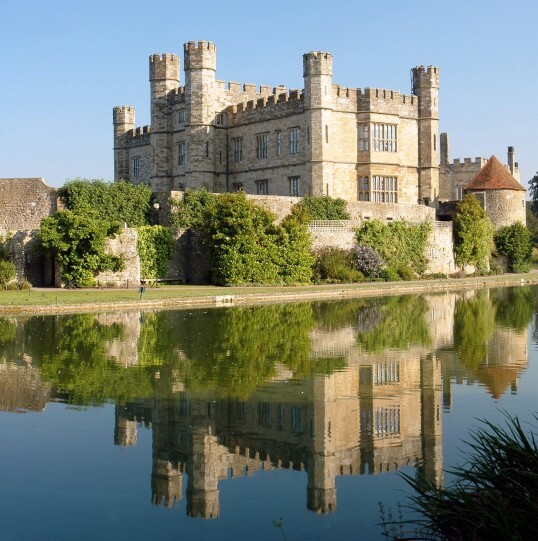 Leeds Castle, A Site to Behold: This 900-year-old fortified castle built by William the Conqueror’s son is an hour by train outside London. With our expert guide, you will discover the castle’s hidden treasures, and discover its fascinating history. Once the property of six of England’s Medieval queens and a palace used by Henry VIII and Catherine of Aragon, it was given a new life under the influence of the Hon. Anglo-American Lady Bailie, who purchased the castle in 1926 when it was sold to pay death duties. Be sure to make time for the grounds and gardens, as well as the unique dog collar museum!! Roman Bath & Jane Austen: Bath is one of the most fascinating and charming cities in Great Britain and only an hour away by train. This elegant Georgian town, known for its lovely antique-filled shops and concert all, is a must-visit on any trip. Start with the celebrated and beautifully restored Roman baths, the magnificent Pump Room where the aristocracy used to take the waters, and then enjoy our “In the Footsteps of Jane Austen” tour with our resident expert guide.